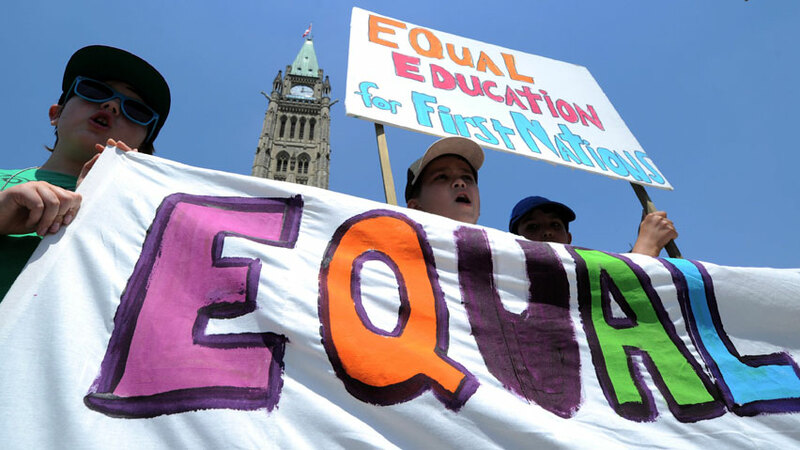 In June 2015, the Truth and Reconciliation Commission issued 94 calls to action, including action on curriculum that focuses on the contributions of Indigenous people to Canada’s history, and improved funding for Indigenous students and schools. By Paul W. Bennett and Jonathan Anuik. Note: This report previously available through the Canadian Council on Learning, which was disbanded under the Harper Government. A book version can be found online through university libraries as a downloadable e-book for those who have university library cards. The direct link below is unfortunately now broken. This text will give the reader some understanding of the complexities of standardized testing and performance assessment in education – particularly for aboriginal students. The book and its contributors invite readers to consider carefully, assessment for accountability, particularly the use of standardized tests, and the value of assessment for student learning. Many alternatives to standardized testing are provided. This Assembly of First Nations Secretariat briefing paper compares INAC’s standard measures of success – school attendance, drop out rates and performance on standardized literacy and numercy tests – with alternative measures under development by First Nations communities. The author points to examples that focus on linguistic retention and cultural knowledge as primary measures of educational success. After an extensive nation-wide consultation, the Candian Council of Learning reports that although current learning indicators now widely used by governments and researchers are important measures, they fall short. They must be broadened to measure more than simply years of schooling and performance on standardized tests. A more holistic approach to measurement that recognizes all aspects of lifelong learning is needed to measure the individual and collective well-being of First Nations, Métis and Inuit communities. Read Redefining How Success is Measured. NOTE: The Council was shut down by the Harper government, so this link is no longer active, but is maintained on our site as a record of what existed. The Aboriginal Learning Knowledge Centre was created by the Canadian Council on Learning to provide a collaborative national forum that would support the development of effective solutions for the challenges faced by First Nations, Métis and Inuit learners. The website includes a wealth of research reports, case studies, and links related to Aboriginal Learning. The issues facing First Nations today are so wide-ranging it can be difficult to know where to begin. The key is to move on those areas that set a strong foundation for growth. First Nations are united on an agenda for change. We understand these are extraordinary economic times. Yet this makes it all the more important that we invest immediately in First Nations, especially in youth. If we do not, the gap between First Nations citizens and other Canadians will grow, as will unemployment, creating downward pressure on productivity coupled with upward pressure on social expenditures and programs. All Canadians will suffer and all Canadians will pay for it. Sean Atleo talks about the highschool completion rate gap between on and off reserve schools in this article.